Students at George Washington Middle School benefit from the state of the art STEM (Science, Technology, Engineering and Math) program/lab. The STEM lab has been in existence since 1999. In the newly updated lab the online content, student management system and module lab equipment are all new, including computers with wider monitors. The expectations for students are high; there are more writing and assessment components and each module finishes with a design process project. The STEM lab is one of five exploratory classes that students at George Washington take every year. In STEM, students work with a partner on 1 of 15 technology driven modules. They learn content and receive instructions for completing hands on activities using the new equipment. Throughout the 10-day module students also learn about the design process and STEM related careers. 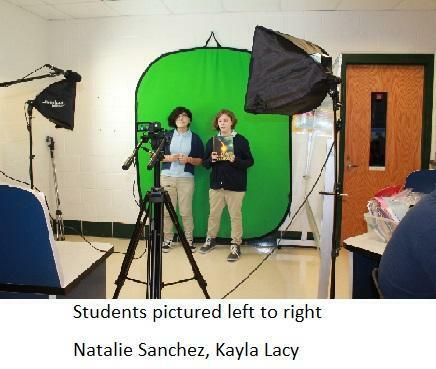 Audio Communications – Students learn high quality audio software to make podcasts. Structural Engineering – Students construct and test different types of beams and then design a bridge. Flight Technology – Students learn about the forces and factors that affect airplanes and rockets in flight, and design, build and launch air-powered rockets. Forensic Science- Students learn about techniques for analyzing crime scene evidence. Digital Manufacturing – Students compare and contrast various forms of manufacturing and use a digital printer to design two projects. 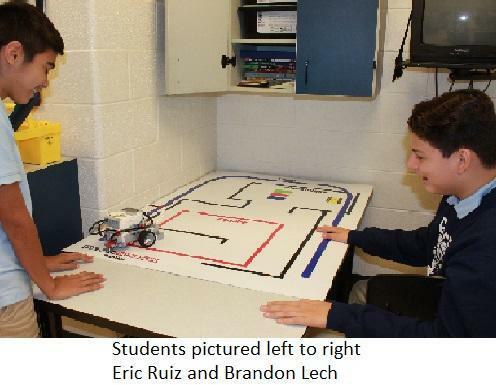 Robotics – Students build and program a Lego EV3 robot. Video Production – Students learn the processes of production and produce two videos using computerized technology. Other modules in the lab include activities related to pneumatics, mechanical advantage with a gear/lever/pulley trainer, virtual architecture, wind turbine blade testing, solar panel comparison, basic computer app programing, and small engine components and systems.